Upcoming Technologies,Current Technologies,Reviews,News,Info and more! LONDON : A rise in healthy people popping pills to boost performance in exams or work, raises long-term ethical and safety concerns about the effects of such treatments, British doctors said on Thursday. The British Medical Association (BMA) wants a public debate about the risks and benefits of using drugs to improve memory and concentration, sometimes called "cognitive enhancement". increase significantly in the next 20 to 30 years as technology advances. "We know that there is likely to be a demand by healthy individuals for this treatment," Dr Tony Calland, chairman of the BMA's Medical Ethics Committee said at the launch of a discussion paper on the issue. "However, given that no drug or invasive medical procedure is risk free, is it ethical to make them available to people who are not ill?" Surreptitious use of brain-boosting prescription drugs is particularly common in the US and likely to increase in Britain , the BMA said. "There is a growing expectation that the use of these so-called cognitive enhancers in the UK is both imminent and inevitable," the BMA said. Today, the use of pharmaceutical aids to boost performance is mainly confined to certain groups—notably students cramming for exams. In the future scientists may be able to provide more permanent fixes for bad memory or poor concentration through brain stimulation and neurotechnology. 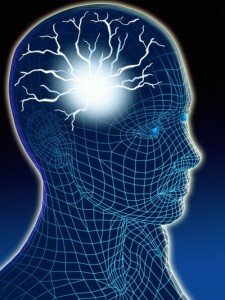 This would involve techniques such as transcranial magnetic stimulation—where magnetic pulses are used to stimulate particular brain regions, and deep brain stimulation, where electrodes are inserted into the brain to transmit tiny electrical currents. While these could benefit individuals and, potentially, wider society, there is a fear that "over-enhancement" of the brain's cognitive functions could have damaging side-effects.